If you are planning on traveling around Japan via the JR train, you’ll probably pass through Shinjuku Station. 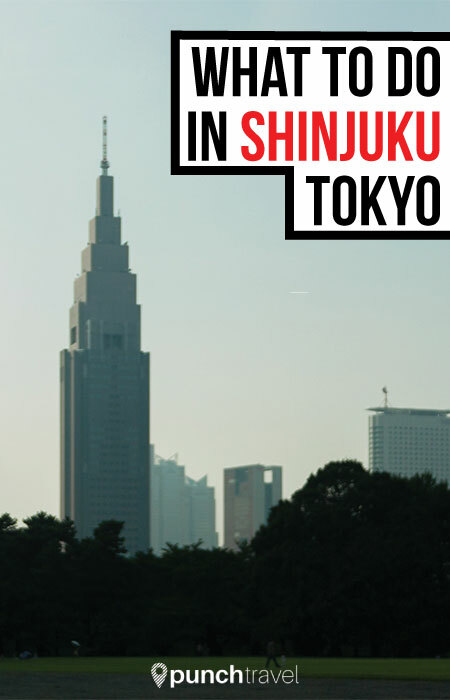 Located on the western part of Tokyo, the Shinjuku neighborhood is a business district with many iconic skyscrapers. But it’s not only a place where people come to work. The area around Shinjuku also has a lot to see and do. JR Sendagaya Station on the local JR Chuo/Sobu Line. This sprawling garden oasis is hidden behind the department stores and office buildings that make up Shinjuku. The park was built on the former grounds of a feudal lord’s residence. 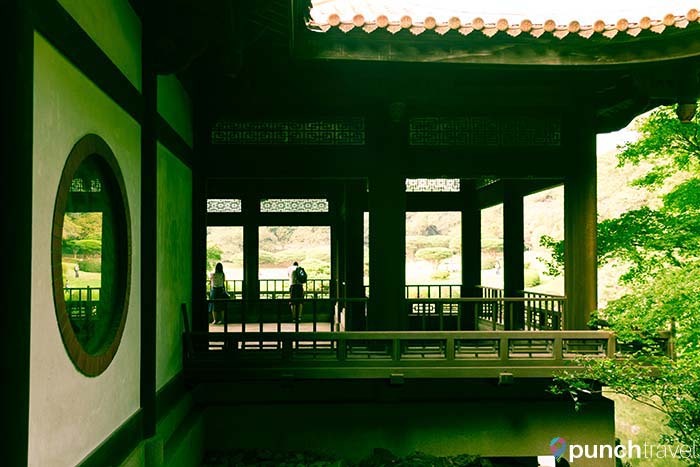 It contains an English Garden, a French Garden, Japanese gardens and several traditional teahouses. 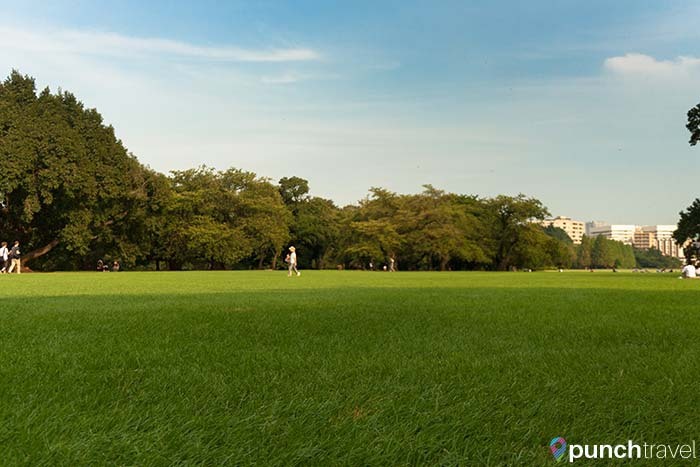 In the center is a lawn where on sunny days will see people picnicking or napping. 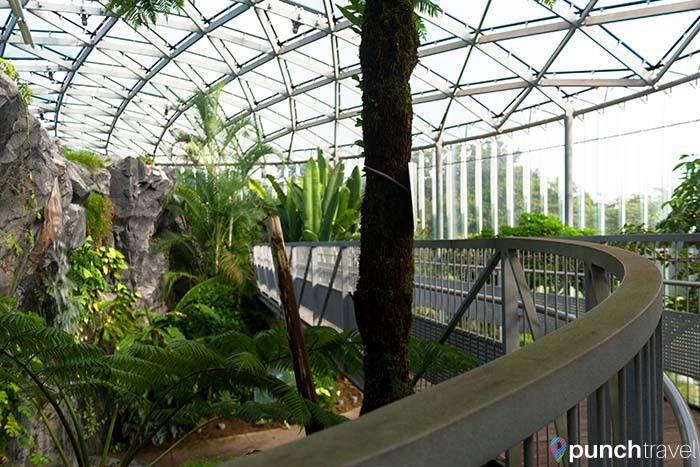 There is also a greenhouse which reminded me of Singapore’s Cloud Garden, though on a much smaller scale. Entrance to the garden is 200 yen. Be warned, some parts of the garden are full of mosquitoes. Why pay exorbitant prices for the Skytree or the Tokyo Tower, when you get the same view for free? 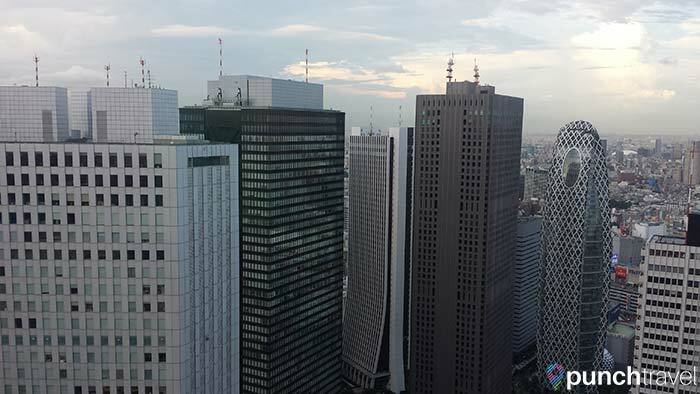 The Tokyo Metropolitan Government Building is an office building, but the 63rd floor houses a 360 degree observation deck, at no cost. The observation deck also has a restaurant and bar open after 6pm. No tickets are required, simply show up, get in line for either the north or south elevators and you’re up to the top in no time at all. The best time to come is around the sunset, when you can see Mt. 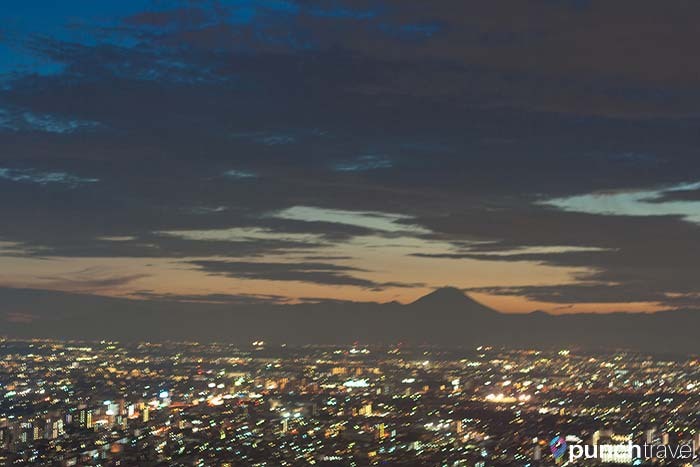 Fuji in the distance and witness Tokyo transform from day to night. These narrow alleys just east of the JR Shinjuku station comprise Tokyo’s red light district. This is the Tokyo of the movies – blinking billboard signs, love hotels and hostess bars. But the area does not feel seedy. In addition to those looking for love, it has also become an area where young people gather for food and drink at cheap prices. Golden-Gai is the place to go for reasonably priced food. Most of the restaurants are small, standing-room only establishments. Service is quick so that you’re back on the street and on to the next watering hole. The popular Robot Restaurant can also be found in Kabukicho. 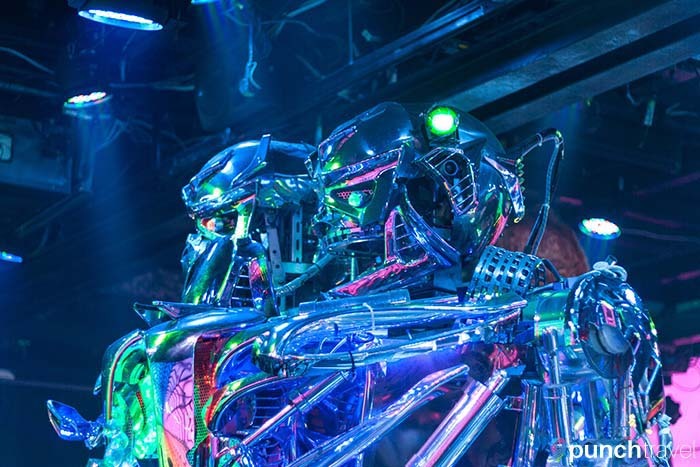 Read our review of the show here: Robot Restaurant – The Weirdest Dinner Show in Tokyo. 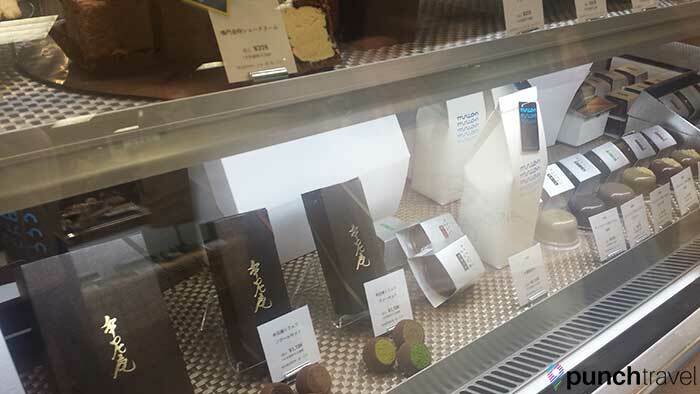 If you are looking to buy something, you’ll find it around Shinjuku Station. There are dozens of shopping malls to cater to the millions of visitors that travel through everyday. Several major department stores are crowded around the train station. There’s Odakyu, Keio, MyLord and countless other shops both above and below ground. The rooftop of the Lumine Center hosts a popular beer garden in the summer with an all-you-can-eat-and-drink special. Even if you don’t feel like shopping, Isetan department store is worth a visit, if only for its impressive dining hall in the basement.